This is the image, sent from Vienna, that greeted me at 7am today, as I rose foggy headed on a foggy morning and checked my emails. It's my great friend and fellow Typospherian Georg Sommeregger, who presumably is getting his head around the prospect of coming Down Under. I say my 'great friend' in spite of the fact that we've never met, at least not in person. The closest we've come to meeting was a Skype conversation when Georg organised a Type-In for Canberra Typospherian Jasper Lindell to attend while Jasper was on a student exchange trip to Germany. All of which - Georg letting the blood go to his head over thoughts of visiting Australia, going to the trouble to make Jasper fell at home among Typospherians in Europe, and planning a surprise for Jasper by arranging a Skype link-up with me - reinforces yet again what great people Typospherians are and what a great place the Typosphere is. 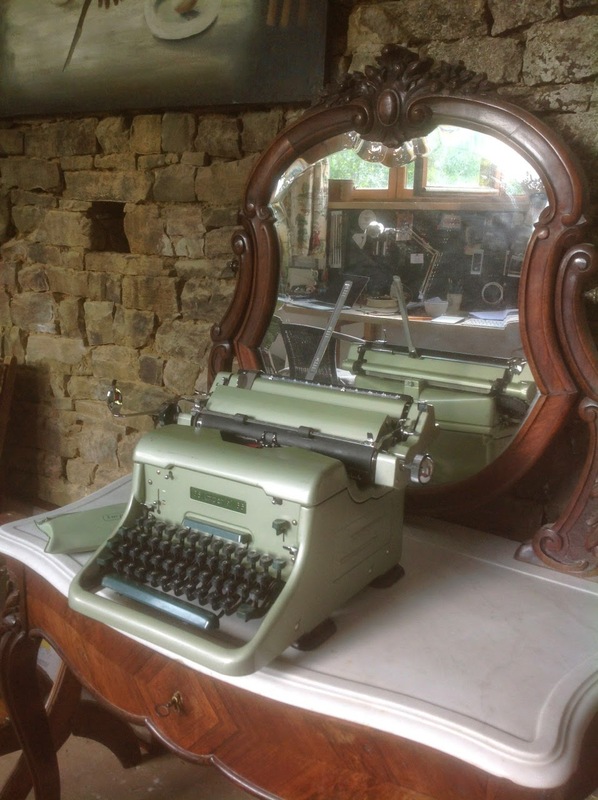 Blogging on typewriters is amazing in the way it puts people from all parts of the globe in touch with one another, invariably in a friendly and helpful way. Georg is writing a book on the Hermes Baby, and in the past few weeks he and I have been allowed access to mountains of previously untapped information about the deal that was struck between Paillard in Yverdon, Switzerland, and Bill Mawle in England to make the Hermes model as the Baby Empire in West Bromwich. It came about through me making contact with two of Mawles' grandchildren, Guy Mawle in Wales and Vanessa Goldie-Scot in Sydney, Australia. Vanessa found me through this blog. Both grandchildren have been exceedingly generous in digging out Bill Mawle documents, scanning them and sending them on for all Typospherians to share. When I posted these images of a piece of paper in the platen of an Empire lightweight typewriter, after a visit to see Matthew Connell, curator of the typewriter collection at the Powerhouse Museum in Sydney, the very last thing I expected was to be contacted by the person to whom the message was typed. 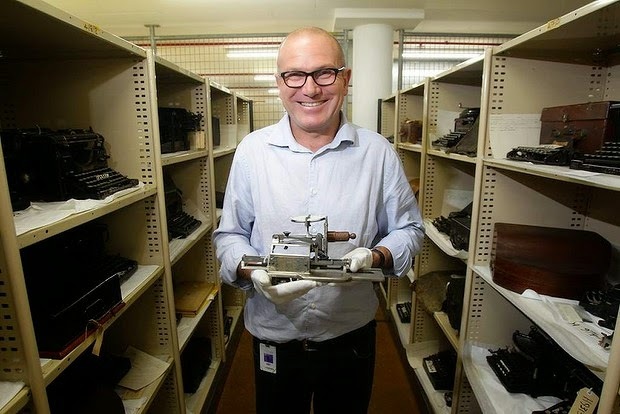 Yet out of the blue came a message from Antony Bons in the Netherlands, whose father, Hendrikes Johannes Bons, had donated the typewriter to the Powerhouse. Antony wrote, "Actually I was present as a child when my father typed that note and he typed it to me. It was his sense of humour." 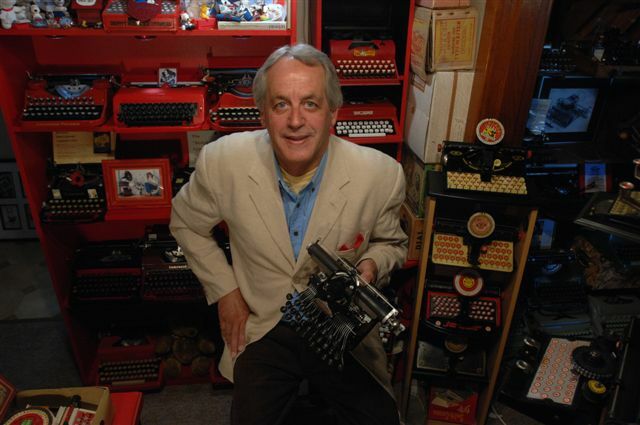 Matthew Connell with some of the Powerhouse's typewriters. Some time back I was contacted by former Fleet Street journalist Christopher Long, now living in Normandy, France. Christopher was getting a bit nostalgic about typewriters and wanted to identify the model he used in London. It was an Imperial 66, and Christopher was quickly able to find one in pristine condition, for sale online in England. 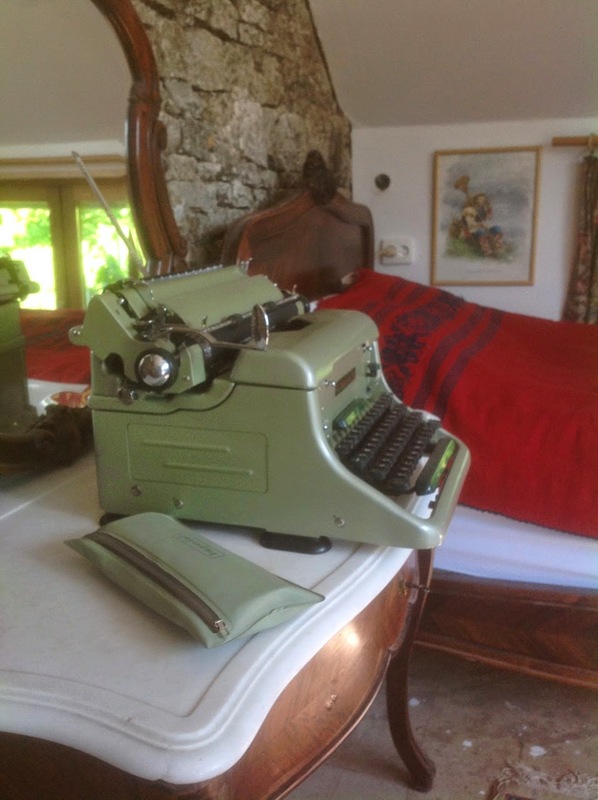 Christopher's Imperial 66 happily ensconced in France. 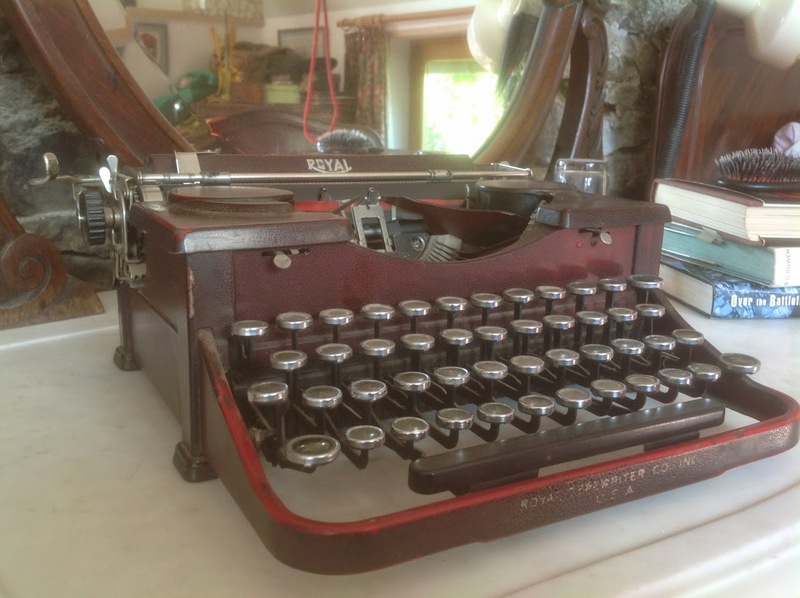 His interest in typewriter re-ignited, Christopher decided to find someone close who could so some work on his grandfather's 1931 Royal portable. Now this is so incredible it's almost spooky. 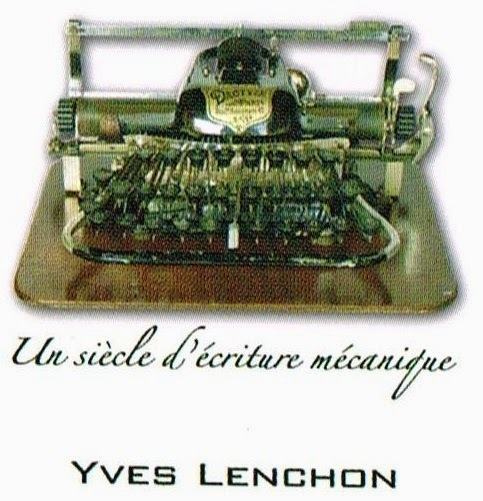 Who did Christopher find but a neighbour of his, a former typewriter mechanic called Yves Lenchon. And what did Yves say? 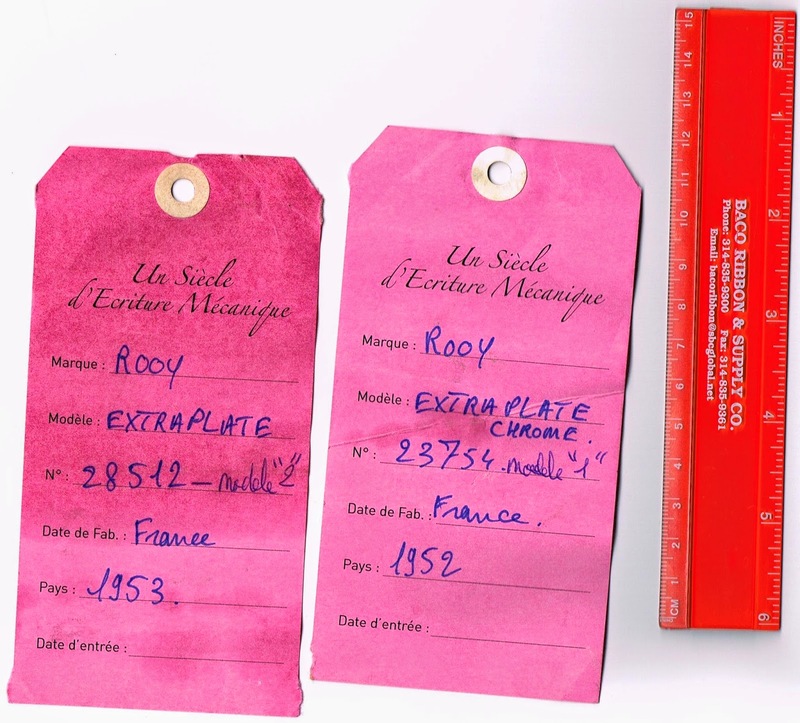 "Oh, oui, je sais Robert Messenger." Christopher wrote, "When you warned me about the dangers of TYPRITISIS (a trivial complaint, I assumed) I had no idea that it can lead to a serious case of TYPRITOMANIA (which I hope to avoid). 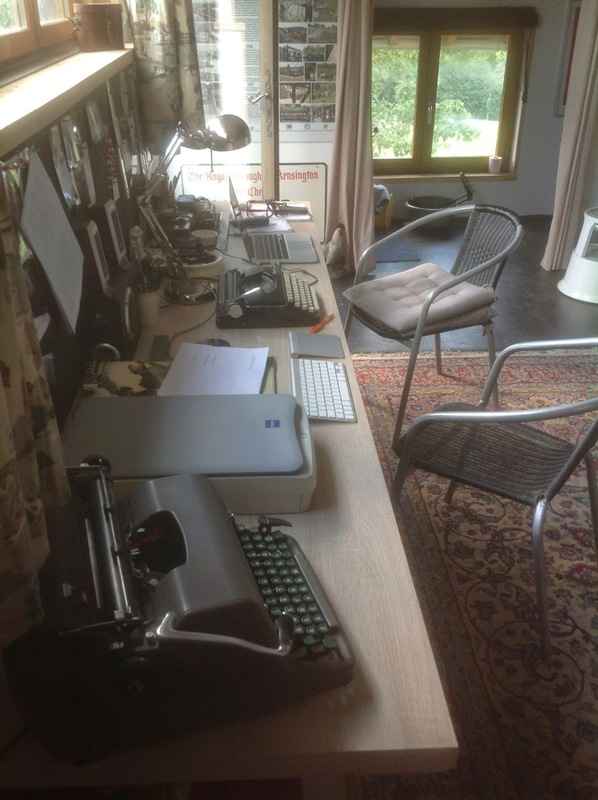 A healthy relationship with a typewriter should, I think, be PLATTENONIC." Christopher's collection is steadily growing. This renewed interest "provoked" Christopher into starting a largish article on The Written Word ("exploring how the tools man uses for writing might directly affect how we write as well as influencing what we write about and why"). In his lifetime it has been "a voyage from pencils and fountain pens to biros, typewriters, word-processors, direct input, personal computers and now tablets. 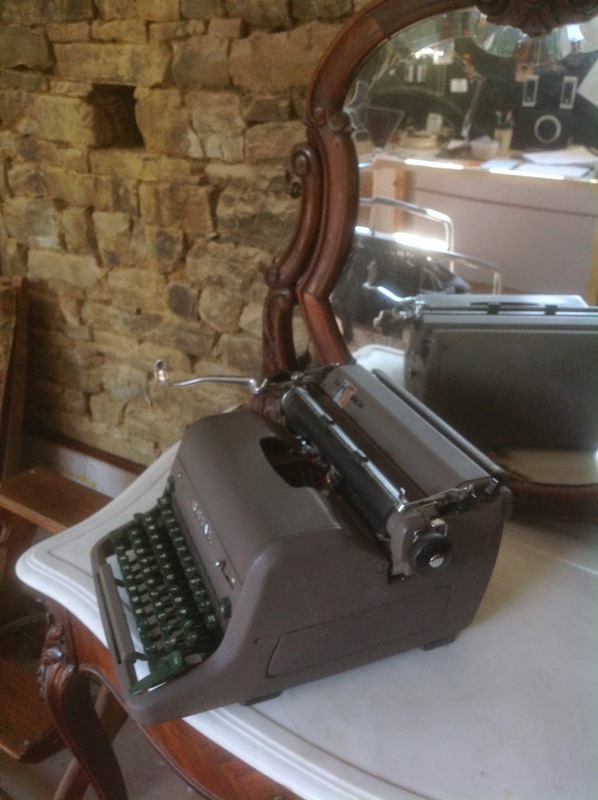 On the subject of typewriters I’ve just been writing: 'When there wasn't room for me on the [Evening Standard’s] Diary desk, I jealously guarded my slim hold on a desk in an unfashionable area of the newsroom among the crime and court reporters. In this nether-world I used a 1950s American-made Royal HH. If the Imperial 66 had had the raw panache of a Triumph Bonneville, my HH throbbed like a Harley-Davidson.'" After spending a happy afternoon looking through Yves' impressive collection, Christopher commented. "I don’t think I’ve contracted the disease myself yet but I have to say that I would give a lot for a very nice folding Corona or Erika in excellent condition - and I still think that the Royal Model O and the Royal Deluxe just have to be the epitome of what a typewriter ought to look and feel like and either would satisfy my needs for ever more! It was fascinating to handle these things at last." If Christopher needs any advice at this advanced stage of developing TYPRITOMANIA, I could offer him the words sent to me last week by Piotr Trumpiel in London: "One thing I've learned so far in my journey as a beginner in the typewriter collecting world (coming to my first anniversary) is that it is a game of patience and persistence. At the beginning I didn't think I will ever have a chance to own some machines that I already own, so what I need to do is to pace myself, keep my eyes open, wait for the right opportunity and learn along the way." Well said, Piotr! 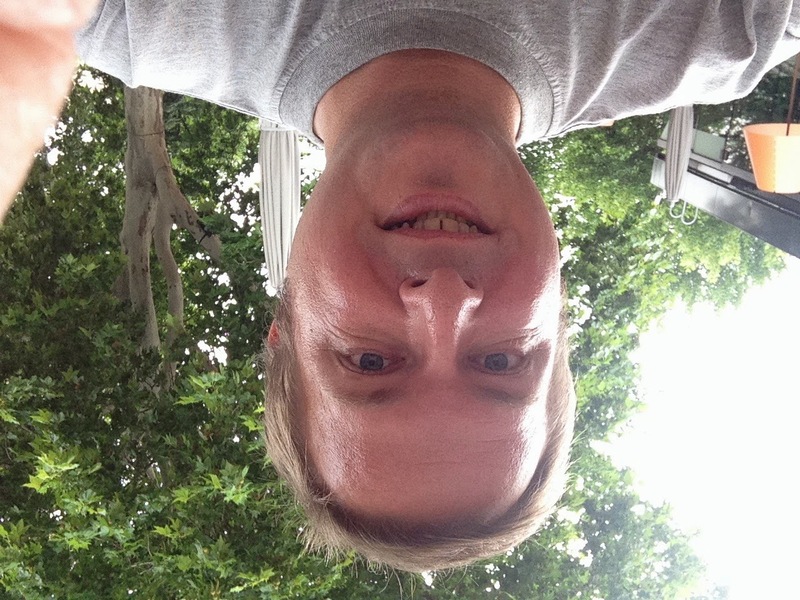 May Georg travel safely and enjoy his stay down under!